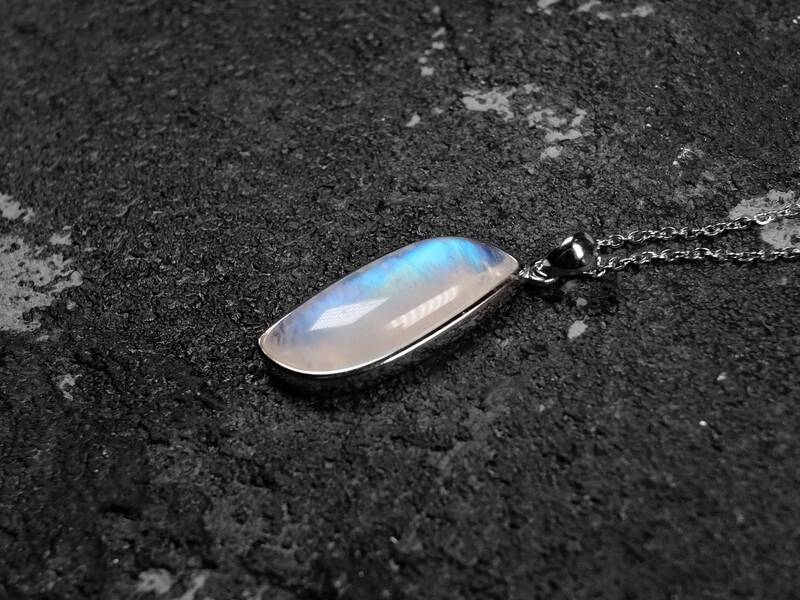 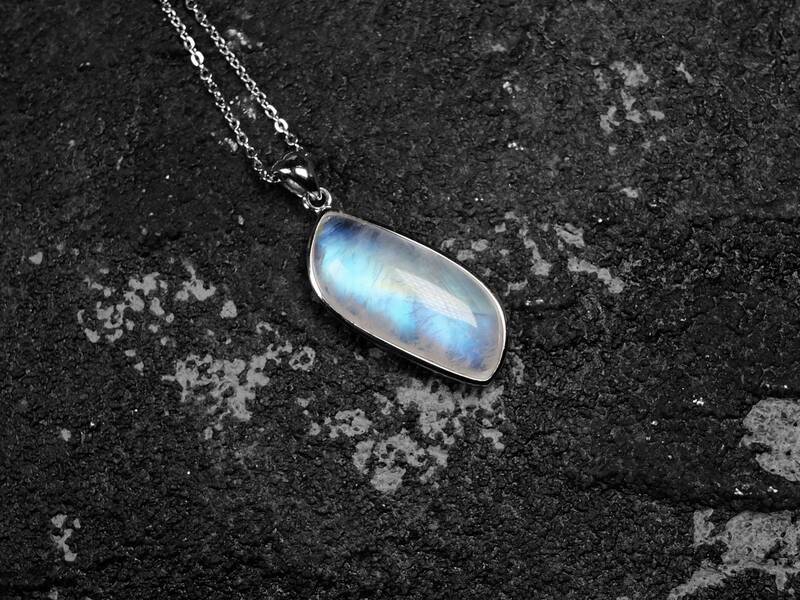 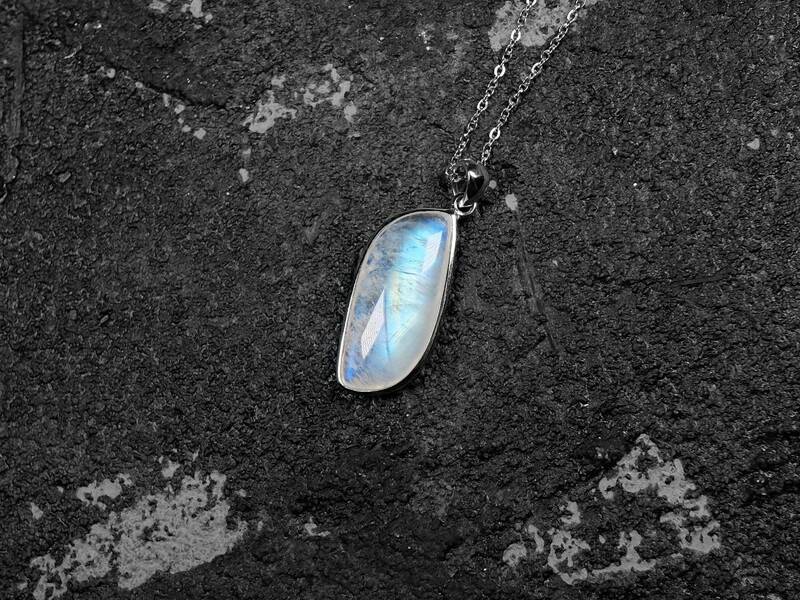 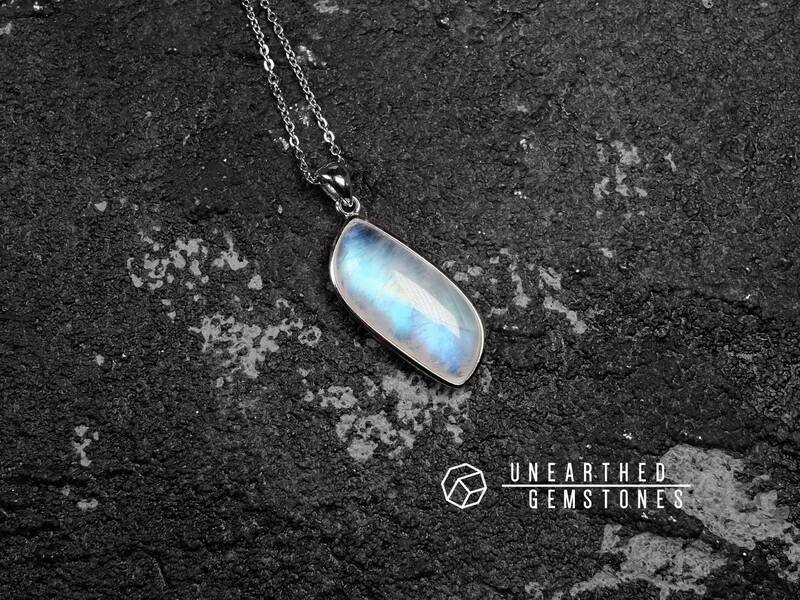 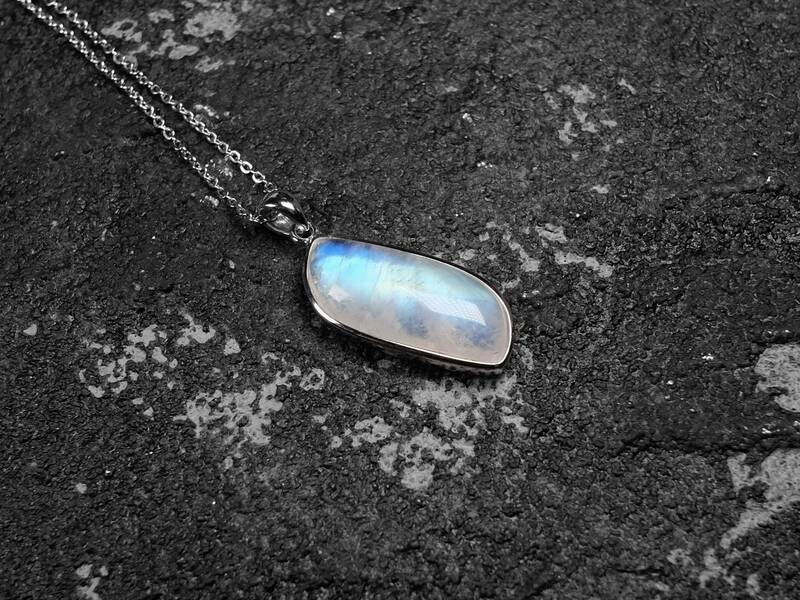 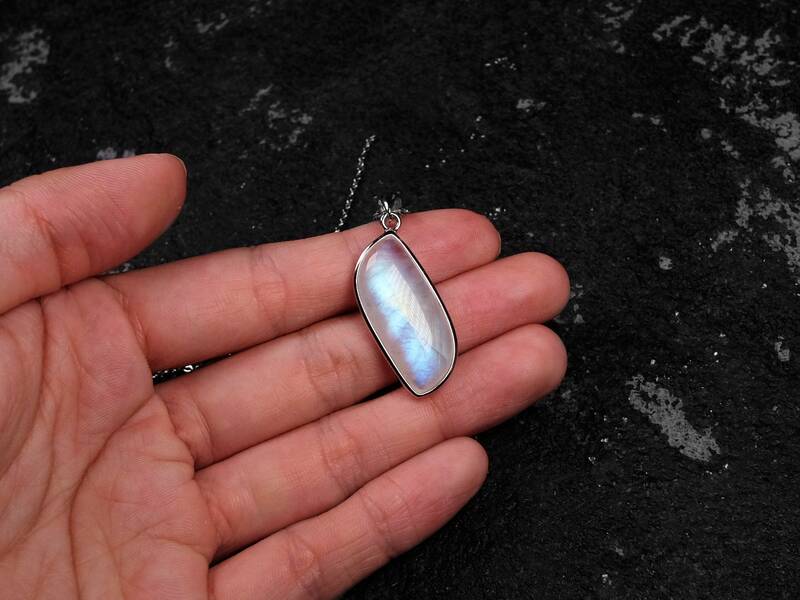 This natural rainbow moonstone has a very strong flash in the middle. 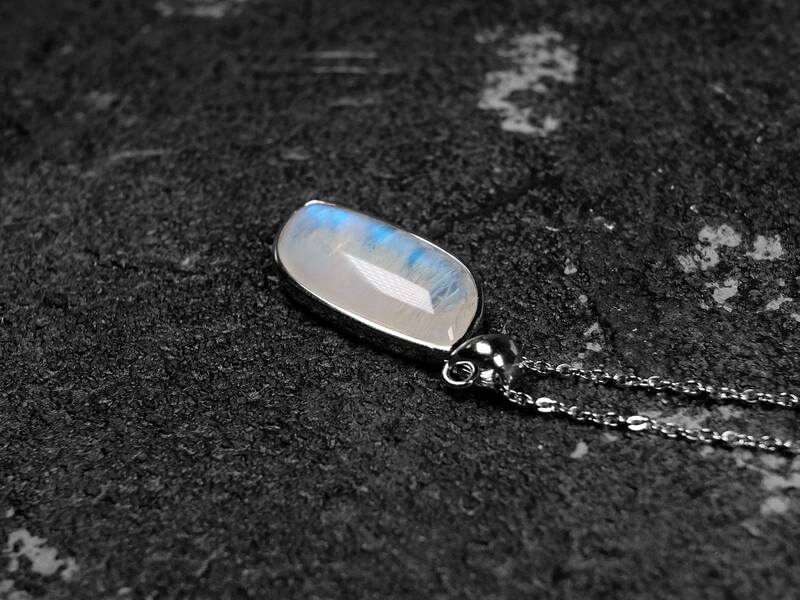 The clarity of the moonstone is also good with some fractures. 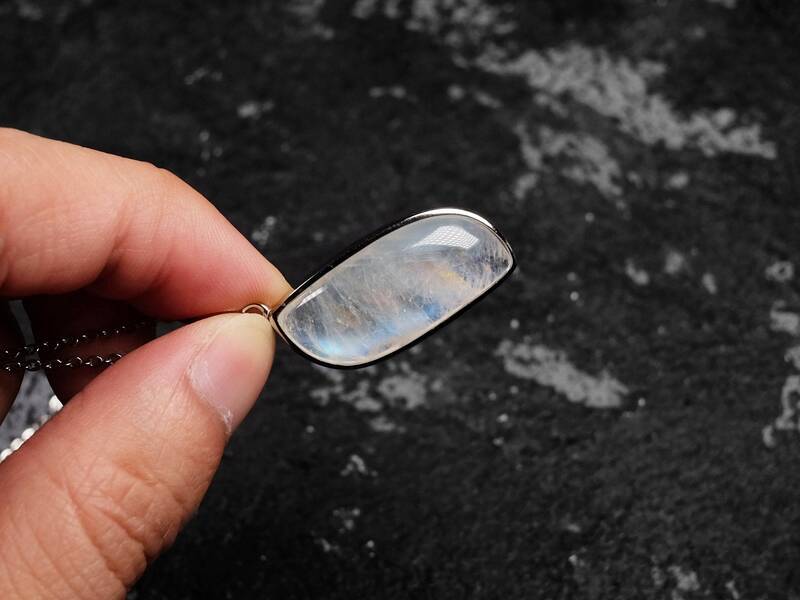 Overall good quality rainbow moonstone because of its strong flash. 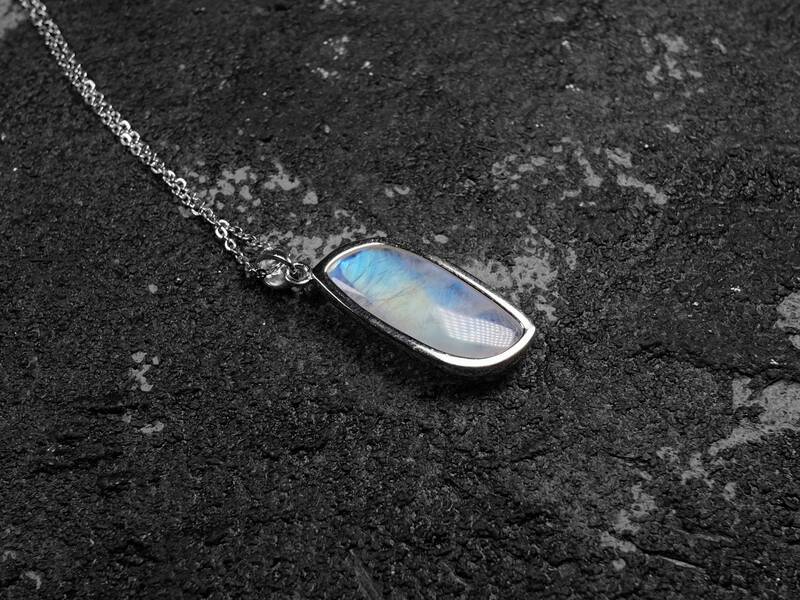 The crystal is set in a 925 sterling silver bezel setting.